[This month marks the 71st anniversary of one of the most glaring examples of the American injustice system. And once again, as if in a 71-year-later Instant Replay, the American injustice system is running out of control again. Only this time, it's aimed at our very President. They're trying to make it a crime to get caught cheating on your wife. Seventy-one years ago, the State of Massachusetts electrocuted two men who were guilty of nothing more than being a couple of broke Italian immigrants who believed in anarchy but never committed a crime. This was at a time when the attorney general, an antediluvian demagogue (much like today's Independent Counsel), had succeeded in igniting a xenophobic firestorm, its flames fanned by a dinosaur-controlled and greed-driven media flocking in a feeding frenzy like pigeons at the feet of someone dropping bread crumbs. You can't say one name without linking it to the other. They are two names that will be bound together forever in history. Who were Sacco & Vanzetti? Nicola Sacco and Bartolomeo Vanzetti were two Italian immigrants who many believe were wrongfully accused and executed for a crime they did not commit. 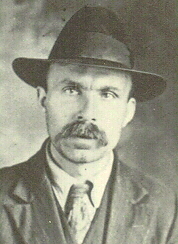 Sacco, a shoemaker, and Vanzetti, a fish peddler, were self-proclaimed anarchists and workers' rights activists. Webster's Third International Dictionary defines anarchy to be "a political theory opposed to all forms of government and governmental restraint and advocating voluntary cooperation and free association of individuals and groups in order to satisfy their needs." Noam Chomsky, linguist, anarchist and Libertarian-Socialist, prefers to define Anarchy not as a doctrine but ". . .at most a historical tendency. . .of thought and actions which has many different ways of developing. . .and which. . .will continue as a permanent strand of human history." Both definitions seem to carry in their words a sweep of grandiose political intent. 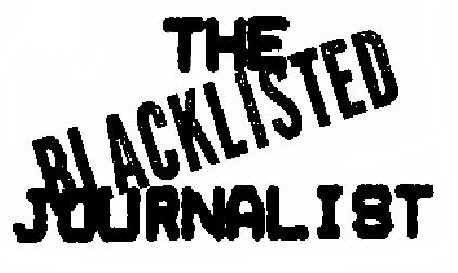 Webster's definition, however, better suits the missionary zeal possessed by those who hold membership in the Anarchists Hall of Fame: Emma Goldman, Alexander Berkman, Big Bill Haywood, Joe Hill, Pierre-Joseph Proudhon, Lucy Parsons and Elizabeth Gurley Flynn, to name the more prominent few. Sacco & Vanzetti were drafted into the galaxy of anarchist "stars" through a series of incidents---accidental, circumstantial and sometimes surreal---that led to the great event that took place on midnight August 22, 1927 and caused protests and riots throughout the world. Soon after the Great War, when mass strikes accompanied the peace and the Red Scare began to sweep the country, Attorney General Mitchell Palmer accelerated his raids on known and suspected radicals. Those caught in his net were deported and sent back to their native countries. Though Sacco & Vanzetti were not literally caught up in the Palmer raids, they were by the nature of their political beliefs captured in a wider net, the hostile mood toward radicals that prevailed throughout the country. The public's distrust of leftist thought had been building since the Haymarket Square riots, which led to the hanging of five men dedicated to the anarchist cause. Outrage fueled the public's animosity toward radicals when an anarchist sought to assassinate Henry Clay Frick in his office at the Homestead works. Not long afterwards, in 1901, an anarchist succeeded in assassinating President McKinley. The culminating event probably occurred when the International Workers of the World (IWW), a left-wing labor union, led mass strikes right after the war, all but paralyzing the nation. The nightmare for Sacco & Vanzetti began on the evening of May 5, 1920, and ended at midnight August 22, 1927 amidst a worldwide maelstrom of anger which arose in protest against their executions in the electric chair. The crime for which the two men were accused were the murders of a payroll clerk and a guard at the Slater & Morrill shoe factory at South Braintree, Massachusetts, on April 15, 1920. Though Sacco & Vanzetti would be paired in name by the fate visited upon them, Nicola and Bartolomeo were by no means bound by life ties. Their friendship began casually and in an accidental manner only three years or so before the two were picked up and arrested by the police on a streetcar at West Bridgewater, Massachusetts on the night of May 5, 1920. What bound the two men together before they met was the fact that each grew up in and shared the bountiful fruits of their home country, Italy. Both Sacco's and Vanzetti's families shared a modest wealth of ownership of land: pasturage, vineyards, prairies, stretches of landscape brilliant and multicolored with waves of wildflowers. And better, both Nicola and Bartolomeo stood to inherit the land of their fathers had they chosen to return to Italy. Nick grew up in a small town in southern Italy called Torremaggiore and Bart in a town in north Italy called Villafalletto. This land in Italy that they would someday inherit might eventually be passed on to their children and grandchildren, except that Bartolomeo was still unmarried. Both men came to the United States in 1908 but did not meet until ten years later. Both were expatriates in Mexico, where they were evading the draft at the time. The two were pacifists who had no stomach for war and killing. As pacifists, Sacco and Vanzetti vowed they'd never go to war to shed the blood of "innocent workers" like themselves. Why should they go to war to protect the rich man's interests? they would be quick to tell you. Why protect the interests of men who shared with their workers little, if any, of the wealth which the rich amassed? Neither would hesitate to tell you that they were activists dedicated to helping working men everywhere to earn a living wage. Anarchists and activists they would admit to being. Agitators, they were not, they insisted. Agitators and troublemakers are what their bosses would call them, but the real troublemakers, the two immigrants believed, were employers who paid their workers only enough wages to buy a couple of fish at market. Or a government which sent young men off to be slaughtered in wars that would have no purpose other than to line the pockets of the investment bankers and the munitions makers. Sacco, married to his lovely Rosina, had a son, Dante, and a daughter, Inez. His family responsibility made Nicola a bit more cautious and less loquacious in his activism than Vanzetti. Bartolomeo, by contrast, burned hot with a determination to see to it that members of the working class received their proper due as human beings. If consequences were to come to him for holding onto those beliefs, then let them come. He was, after all, responsible only to himself. As a single man he was free of the responsibilities that most married men like Nicola could not ignore. Nicola cared for his family. But didn't the fact that Bartolomeo was free and single saddle him with responsibility nevertheless? Right after the war, Vanzetti had to take to peddling fish to earn his living. He took that job as a result of his being fired from the Plymouth Cordage Company for leading a strike there. Bartolomeo may have lost his job for leading that strike but when it was settled the workers at Plymouth Cordage received a 10 per cent raise. Peddling fish on Christmas Eve, 1919, was what Vanzetti said he was doing when a robbery attempt was made on the L.Q. White Shoe Company in Bridgewater, Massachusetts. Witnesses in his neighborhood attested to that fact. During the attempt, bandits held up an L.Q. White truck carrying a payroll of $30,000, but the robbers failed to run off with the money when a streetcar got in their way and they had to make their getaway emptyhanded. On April 15, 1920, four months after the Bridgewater robbery attempt, the payroll clerk and a guard at the Slater & Morrill shoe factory in South Braintree, Massachusetts were murdered in cold blood. The chief of police at Bridgewater, a man named Michael Stewart, considered the possibility that the men involved in the South Braintree crime may have been the same ones who made the robbery attempt at the L.Q. White Shoe Company in Bridgewater. A few weeks after the botched Bridgewater job, a man named C.A. Barr came to Chief Stewart with what he called a "detective machine." The man claimed some "clairvoyant" looked into the machine and saw the Bridgewater robbery happening. The man, from Brighton, Massachusetts, maintained his invention could "detect who had committed a crime no matter where it was committed." He told Stewart the "clairvoyant" was a woman in East Boston who had the power to look into the machine and see the holdup taking place. The woman gave "telling" details. She claimed she saw the bandits changing their clothes or pulling overalls over them, and they looked like Poles or Italians. The woman also maintained with apparent certainty that the rendezvous where the bandits stored their car, a Buick, was a shack somewhere in Bridgewater or the surrounding area. As a precaution, Stewart checked various shacks around the area, but none seemed to fit the description the "clairvoyant" claimed to have seen. Perhaps the woman was telling a "shacky-dog" story. Whether she was or not, the "joke" would not be lost on Sacco & Vanzetti. By the time the South Braintree murders had occurred, Attorney General Mitchell Palmer's reign of terror was going full steam against immigrant radicals. To Palmer and his zealous band of immigrant pursuers, they were on a mission to rid the country of "red Satans" or anarchists who seemed bent on dismantling America's free enterprise system. The unrelenting Palmer pursuits culminated in the splayed body of one Andrea Salsedo lying on the sidewalk of a New York City street. The body of Salsedo lay in front of the Park Row Building inside of which the New York Department of Justice offices were located. Salsedo, a friend of Vanzetti's, was being held as a suspect in the explosion of a bomb in front of the attorney general's house which occurred in June 1919. Salsedo denied that he was involved in the bombing. Salsedo's denial---Vanzetti and others who belonged to activist groups claimed---so enraged department of justice questioners that they brutally beat Salsedo (such wounds were evident on the corpse) and hurled him out a window from the 14th floor of the building. 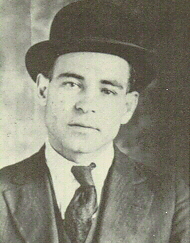 Whether a suicide or a homicide, the gruesome wreckage of Salsedo's body lying on the sidewalk that day, May 3, 1920, sent a message to activists like Sacco & Vanzetti that "murder" and not just deportation could well be the consequence of Palmer's "mad" mission. Vanzetti's mind was the need for him to go with Sacco to the houses of their friends to gather up "seditious" literature. "Seditious" literature was the pamphlets, circulars and calling cards in the arsenals, so to speak, of most anarchists. Such literature would be also damning evidence, should it fall into the hands of Palmer or any member of the justice department. Time would be of the essence to gather this literature, so a car would be needed to get the job done. A man named Mike Boda owned the car which Sacco & Vanzetti had arranged to borrow to gather the literature. The car Boda owned was an Overland. Ordinarily, the Overland would be parked in the shed behind the house where Boda lived with Ferruccio Coacci, the man who rented the house with him. Because the Overland, old and in bad shape, was not in running order, Boda took it to a garage located on Elm Street in West Bridgewater to get it repaired. The mechanic, a man named Simon Johnson, told Boda the car would be ready by 9 on the night of May 5th. He could come pick it up then. Within that same time frame an immigration officer came to Chief Stewart and inquired about Ferruccio Coacci who, said the officer, was wanted for deportation. The chief checked his immigration file and picked out a card with Coacci's name and address on it. The address indicated a small neighborhood in Bridgewater named Cochesset where the Coacci house was located. The chief had put on his coat and had planned to accompany the immigration officer to Cochesset but then changed his mind. He told one of his deputies to go instead. The deputy reported back to Stewart that when he and the immigration officer had gotten to Coacci's house, Coacci was standing over his trunk in the middle of the floor, ready to leave. The deputy also said that there were some things about the Coacci house and its surroundings that aroused his suspicion. By the time Stewart decided to go to the Coacci house to see for himself, Coacci had already left with the immigration officer. The first thing Stewart noticed when he arrived at the Coacci residence was a shed behind the house that had curtains covering the window. This caused him to wonder. Why were curtains on the windows of a shed? Could this be the shed the "clairvoyant" saw in the "detective machine"? Wasn't the Buick, the presumed getaway car in the Bridgewater robbery, abandoned somewhere near here? Was Coacci one of the South Braintree robber-murderers? Was he getting away with the loot, which might be stashed in the trunk he carried out of the house? Stewart also noticed that there were tire marks in the shed, which meant that the gang members would probably eventually return. This possibility caused him to make an arrangement with a neighbor. He asked the neighbor to call him as soon as she saw a car pull into the shed. Thanks to the "clairvoyant" and the "detective machine," Chief Stewart could very well capture the would-be robbers of the December 24th failed Bridgewater heist and the robber-murderers of the April 15th South Braintree crime. Both offenses, he was sure, were committed by the same gang. Checking on Coacci and his trunk was easy for the chief because Coacci was in custody waiting to be deported by immigration. When Chief Stewart encountered Coacci and the big moment came for the immigrant to open the trunk, nothing but clothes fell out. But Stewart was not put off. The money could easily have been passed off to other members of the gang by then. Also, when Chief Stewart questioned him, Coacci revealed that a man named Mike Boda lived in the house with him. It was Boda who owned the Overland that would ordinarily be parked in the shed located behind the house. The car was not parked in the shed at the time Stewart went there, Coacci told him, because Boda had taken it to a "repair garage". April 19, four days after the South Braintree crime, was when Boda had taken the Overland to the Elm Street garage to be fixed. It apparently had not occurred to Stewart to go to the garage, check out Boda's car and with his own eyes see that the car being fixed was an Overland and not a Buick, the getaway car used in the South Braintree crime. Besides, the Overland was eight years old and hadn't been run for at least six months. That was a totally verifiable fact which Simon Johnson, the garage mechanic, would have passed on to the chief had he inquired. Stewart did, however, take the time to stop at the mechanic's house, located across the street from the garage. He asked Mrs. Johnson to keep her eye out for the men who would be coming to pick up the car and, as soon as they arrived, give him a call. The men who would be arriving at the garage would be Mike Boda, Nicola Sacco, Bartolomeo Vanzetti and Richard Oriciani whom Vanzetti brought along to drive the car. On May 5th, the designated pick-up night, Sacco & Vanzetti had to wait until 9 or later to get started because daylight hours were growing longer. The plan was for Nick and Bart to take a streetcar to West Bridgewater, go to the Elm Street garage and meet Boda there. That part of the plan went off without a hitch. But when they got to the garage, it was locked. When Johnson was summoned from his house across the street, he told Boda that the car did not have a 1920 registration so it could not be removed from the garage. Meanwhile, Mrs. Johnson tipped off Stewart over the telephone. Trying to decide what to do, Sacco & Vanzetti hung around the garage for awhile before boarding a streetcar to return home. But neither of the men reached home or ever would they. Both were seized on the streetcar by an officer dispatched by Chief Stewart and were immediately placed under arrest. The two men were taken to the Brockton Police station and questioned there. Both were carrying guns. When asked why, Vanzetti said he was carrying his for self-protection because at the fishmarket he carried large sums of money in his pocket. The reason Sacco gave for carrying a gun was because he moonlighted as a security guard at night. Perhaps more damning than the guns in their pockets, which heightened the suspicion in the minds of their interrogators, was the circular that Vanzetti had been carrying on his person. The circular read: "FELLOW WORKERS, YOU HAVE FOUGHT ALL THE WARS, YOU HAVE WORKED FOR ALL THE CAPITALISTS. . . HAVE YOU HARVESTED THE FRUITS CF YOUR LABORS? . . .ON THIS THEME. . .BARTOLOMEO VANZETTI WILL SPEAK. . . It was the guns in the two men's pockets that seemed to cinch in the minds of the policemen the idea that they had just picked up the South Braintree murderers. From that point on, a systemized set of questions were asked by the police, who primarily sought answers to Sacco's and Vanzetti's involvement in the South Braintree murders rather than any involvement in anarchist activities. But Sacco & Vanzetti believed their anarchist activity was the reason they had been taken into custody. The interrogators gave no hint that the questions they were asking had nothing to do with their anarchist activities but everything to do with the South Braintree murders. So, when the policemen asked the two suspects to "name names," Nicolo and Bartolomeo---thinking they were being asked to betray their embroiled anarchist friends---were adamant. They would take the consequences of deportations for being caught with guns and "seditious" literature in their pockets because they were the ones who were collared, not their fellow-traveler companions. Little did either man know that the payment they would make for their silence would be far more severe than deportation. To them, their silence was golden. To the cops at the Brockton Police Station their refusal to "name names" confirmed the guilt of the two men. After an all night grilling, Nicolo and Bartolomeo were taken to the police photographer's studio on Main Street in Brockton. By then their faces were dark and unshaven. Their hair was in total disarray, they needed a bath and both looked wild and threatening. When they walked into the studio, they were jeered and insulted by the cops who were there. The pictures the photographer took of them were not ordinary mug shots. He placed them in several positions, took some pictures with hats on and hats off. He did profiles and full face shots while the men were either standing or sitting on backless chairs. In addition, the photographer, a friend of the police, touched up the pictures and intentionally "fixed" the negatives. Later, in newspapers that afternoon, pictures of Sacco & Vanzetti depicted two scary-looking men projecting visages seemingly charred by the fires of hell. Anybody looking at the pictures might want to send them off to be hanged on the nearest tree. Certain citizens in Bridgewater and South Braintree who saw the photos decided that these were at least two of the men they saw involved in the aborted West Bridgewater robbery or murdering the guard and payroll clerk during the South Braintree crime and robbery. crimes. At the police station, Sacco & Vanzetti were put in separate rooms and 50 "witnesses" to the Bridgewater and South Braintree crimes were paraded before them. The police directed a "crime dance," positioning the two men before this witness parade. The choreographed staging of the two men before witnesses was just one of the several violations of these suspects' constitutional rights. Both men were instructed to play-act the real movements supposedly made by the real bandits. They were told to crouch, wear a hat, pull a cap down over their eyes and then take it off. Finally, they were directed to extend their hand as if they were firing a revolver. This charade went on while they were unbathed, unshaven and unkempt. The appearance that the two men projected to witnesses who came to identify them at that Brockton police station was not at all what Sacco & Vanzetti ordinarily looked like to the people who knew them or even to strangers who might have seen them on the street. For one moment during the illusory drama, the chief was notified that Sacco's December 24th alibi checked out. He was at his workbench that day. That airtight alibi spared Nicola at least from being charged in the Bridgewater robbery attempt. "What about the April 15th alibi?" the chief asked. That alibi did not check out, said the notifier. Sacco had not gone to work on April 15, 1920 because that was the day he went to the Consulate in Boston to pick up his passport. He, his wife and two children had planned a trip to Italy. "Should we check with the Consulate?" one of the chief's men asked. "Hell no!" shouted the chief. "That's not my job. I'm not here to acquit these guys but to convict them." What about Vanzetti? asked the chief. The chief was told Vanzetti was peddling fish during the Bridgewater crime and the South Braintree murders. "Can he prove it?" asked the chief. "He says customers will remember seeing him." Customers did remember seeing Vanzetti peddling fish on December 24th 1919. It was Christmas Eve. Most Italian families observed the meatless fast on Christmas Eve and substituted fish for their early evening meal. Christmas Eve was the busiest day of the year for any man peddling fish in an Italian neighborhood. At the preliminary hearing in Brockton on May 18, 1920, Benjamin F. Bowles, a police guard and Alfred E. Cox, paymaster of the payroll truck during the Bridgewater crime, were brought in to testify against Vanzetti. Bowles testified that the shotgun bandit had a "croppy mustache" and Cox claimed that the bandit had a mustache that was "short and well-trimmed." Vanzetti had a long flowing mustache. But it was, after all, a mustache. After the testimony of Bowles and Cox, Vanzetti was held to await the action of the grand jury. On June 11, 1920, the grand jury returned an indictment against him. Eleven days later, Vanzetti was taken before a jury in the Plymouth, Massachusetts, Courthouse and was charged with the crimes of assault with intent to rob and assault with intent to commit murder in connection with the Bridgewater holdup. The trial judge was Webster Thayer of Worcester, Massachusetts. The prosecutors were District Attorney Frederick G. Katzmann, assisted by William F. Kan. The defending attorney was John P. Vahey, assisted by J.M. Graham. There is a photograph that reveals Thayer, at 64, to be a rather handsome man. He possessed a wide, sensuous mouth and cheeks scraggy enough to give an attractive, youthful concavity to his countenance. More skin than hair showed on his head, which had, a rather Caesarian cast to it. But the eyes of the man repelled: there was a forbidding, condescending slant to them, which gazed down askance upon one as if the person standing in the direct line of their scrutiny might be dismissed for the least provocation. Katzmann, by contrast, was a bit more jovial and animated than Thayer. He was expert at and prided himself in being able to take the least verbal misstep or slip of memory by a witness, bounce it about and cause the witness to stumble into a morass of contradictions. The jury for Vanzetti's trial for the Bridgewater robbery was made up of mostly farmers. There was, however, a man named Nickerson on the jury who was a foreman at the Plymouth Cordage Company where Vanzetti had led the strike. Inexplicably, John Vahey, Vanzetti's defense counsel, did not challenge this juror. Vanzetti's Bridgewater trial had all the pomp and bombast of an Italian comic opera. The climactic high point came when a witness for the prosecution, a 14-year-old paperboy, claimed in his testimony that he got a fleeting glance at a man who was running and carrying a gun. "I could tell he was a foreigner," said the boy. "I could tell by the way he run." When Vahey asked the boy how specifically he perceived the man to be a foreigner by the way he "run," the paperboy answered, "Well, the man might've been anything except a Japanese, a Chinese, an African or an American; an Italian or Russian runs differently from a Swede or Norwegian." Whether or not he was wildly incredible or just plain naive, the boy's eloquent surety of tone as he told his story mesmerized the judge, the jury, the lawyers and the people in the courtroom into stunned silence. When character witnesses for the defense made their appearance, Katzmann baited them with his rapid-fire "technique" of questioning. Those who testified that they actually saw Vanzetti selling fish on Christmas Eve, 1919, were subjected by Katzmann to a bombardment of questions meant to undermine their credibility and question the reliability of their memory. "Mrs. Fortini (Vanzetti's landlady), on the day before Christmas what were you doing at half past seven in the morning? What time did Vanzetti get up on the first day of the New Year? What time did Vanzetti get up on Washington's birthday' of this year? Easter morning? Saturday night before Easter?" The drumbeat of the questions and the confusion they caused in the minds of the witnesses caused the jury and those in attendance in the courtroom to snigger to one another. It was at that point when Vahey would finally call Katzmann to account and Thayer would nod and Katzmann, satisfied by then with his results, would stop. At trials end, a verdict of guilty on both counts was returned against Vanzetti: attempt to rob and attempt to kill. Thayer imposed the utmost penalty on Vanzetti: 15 years. Above the protests shouted in the courtroom by his friends, Vanzetti chastised them as a father would his sons. "CORAGGIO!" Bartolomeo shouted back to them. "CORAGGIO!" That Vanzetti was not properly represented by defense counsel in the Bridgewater trial would be an understatement, to say the least. Not only did Vahey not challenge the juror Nickerson but he reinforced the presumption of Vanzetti's guilt in the jury's mind by not permitting Bartolomeo to testify on his own behalf. Finally, not long after the Bridgewater trial, John Vahey went into partnership in private practice with District Attorney Frederick Katzmann. Such acts of apparent disregard for Vanzetti's right to a fair trial did not go over well with Vanzetti's friends and political advocates, so forces began to gather on Bartolomeo's and Nicola's behalf. If it had been so apparently and dismissively easy for Vanzetti to be convicted for an unsuccessful robbery, then what chance would he and Sacco have in a trial seeking justice for the cold-blooded murders of two working men merely doing their jobs? Aldino Felicani, the editor of the Italian newspaper La Notizia had sat through Vanzetti's trial and decided he was going to need to establish a Defense Committee to insure that Sacco & Vanzetti would get a fair trial in the South Braintree murders. Along with Aldino, other charter members of the Committee included Elizabeth Glendower Evans and Elizabeth Gurley Flynn. Flynn, a prominent Syndicalist and Evans were both moneyed people who brought considerable, if notorious, prestige to the committee. On the day the Committee was established, little did the group imagine that it was going to have a turbulent life of seven years. The Committee was quickly incited to action when its members discovered that Sacco had been taken to the site of the South Braintree murder scene in an auto resembling the murder car. When Sacco arrived there, he was ordered to stage more "crime choreography." He was told to pose as a bandit in the car then jump out and enact the shooting of the guards. "I do not think my opportunity afforded me the right to say he is the man." "I do not say positively,"
However thin and unsure the testimony of these three witnesses seemed to be, their words apparently were enough for the judge (in that particular decision, a man named Avery) to bound Sacco over to the grand jury on a charge of murder. Both Sacco & Vanzetti were indicted by a grand jury on September 12, 1920, and the trial date for the South Braintree murders was set for May 31, 1921. In to defend Nicola was a famous West Coast labor lawyer named Fred H. Moore. Among Moore's other impressive credentials was the fact that he once worked on a case with Clarence Darrow. Defending Vanzetti were two brothers named McAnarney. Both were lawyers who had been involved in deportation cases. Why were no Italian lawyers brought in to defend the two Italian immigrants? Rosina, Nick's wife who especially wanted to know why, was told by her husband: "Because of the men in the white sheet." Before the trial began, Moore requested that his client, Sacco, be given a trial separate from Vanzetti. Vanzetti had already been convicted, Moore said in his petition to Judge Thayer, and Sacco's association with him could prejudice his case in the trial. Thayer mumbled some totally irrelevant reply to Moore, the last words of which Moore heard were, "This isn't California Mr. Moore. . ."
"I understand, sir, but what of particulars from the prosecutors' claim which show specifically how the defendants were supposed to be involved in the shooting?" "Those you'll find out soon enough during the trial, Mr. Moore." "But, sir, that is a presumptive premise." "During the trial, Mr. Moore." "If you'll excuse me, sir, prejudicial premise." "I have already said, Mr. Moore: this is not California." After that failure, Moore tried to do the next best thing: establish before the May 31st trial date an airtight alibi for Sacco. He could do that by charting Sacco's hourly movements on April 15th when he had gone to Boston to pick up his passport before sailing to Italy to visit his ailing father. Step by step Sacco recounted to Moore what he did and whom he saw and talked to after he arrived in the early morning at the South Station, Boston, leading up to the time he arrived at the Consulate around 2 p.m.
Nicola told Moore he even showed a clerk at the Consulate a picture which the clerk said was too big for his passport and was told by the clerk that he should go get a smaller one. After leaving the Consulate he went to a grocery store, bought capicola, provolone and Genoa salami. He took the 4:12 back to Stoughton, walked home and arrived at his house about 6 p. m.
Airtight, said Moore in effect to Sacco. Hearing Moore's words surely must have lifted Nicola's spirits. With Nicola's seemingly foolproof alibi in hand, Moore was ready to go to trial. But he surely could not have been ready to meet with what awaited him outside the courthouse at Dedham, Massachusetts, where the trial was being held. An atmosphere of impending terror and danger was staged that day, apparently by the prosecution. Uniformed guards with rifles, shotguns and pistols surrounded the courthouse and patrolled inside and out. There were 28 guards displaying firearms to obviously create the impression that these were dangerous men and there would surely be an attempt by their compatriots, reds, labor radicals and anarchists across the country, to rescue them from their "captors." In the courtroom there were questions defense counsel wanted to put to perspective jurors: Are you prejudiced against Italians? Are you an employer of labor? Are you opposed to organized labor? Judge Thayer would allow none of the questions to be asked until after the jury was seated. The jury selection procedure took several days. After only seven jurors were chosen out of five hundred summoned, Thayer gave the charge to the sheriff to go summon more prospective jurors. The number of prospective jurors gathered in one night's "harvest" by the sheriff and his deputies totaled 200. From where did these men come? defense counsel asked the court. From which lists? From different towns around, answered the sheriff. Said defense counsel: I'm told some were taken from a Masonic Hall in Needham. Is that true? How many did you get there? Nine? From the Masonic Hall? Moore demanded that none of the jurors from the last group rounded up be selected. Defense counsel also requested that a certain juror named Ripley, who was said to be a client of the assistant prosecuting attorney, be dismissed. Thayer not only did not dismiss Ripley but named him the foreman of the jury. "Guilty or not, they ought to hang anyway." ". . .shots were fired by these two men. Beradelli fell. . . mortally wounded and died shortly thereafter. . . Parmenter died the next day in the Quincy hospital." Vanzetti was hearing for the first time the details of the murders of the two men. He would tell those who visited him during his imprisonment that the cold-blooded murders of Beradelli and Parmenter, two good working men, was an awful event. How could he be accused of being involved in that crime? That anyone could think so went beyond Vanzetti's comprehension. But given the historical precedents of involvement by anarchists in violent events in this country alone, it took no unreasonable stretch of the imagination to believe that Vanzetti, being of their ilk, would be involved in the murders of two men. As Nick listened to Williams' opening presentation, he was doing his best to put on his "good face." Moore had instructed him to smile more. To not look so mean and menacing, which in reality he was not. Mean and menacing was the impression Nicola may have projected to those who didn't know him, but that was a false representation. He was a man of reticent good will who rarely lost his temper. please the court. . . we shall offer witnesses that were at or near the scene of the shooting April 15th that will tell you what they saw and who they saw... (and) the defendants will explain to you in person what they were doing on the day of April 15 not only at the time when the crime was committed. . . but also throughout the entire day. . ."
Testimony in the trial against Vanzetti on the prosecution side turned on a cluster of specious words and phrases: man on a train; foreigner; high cheekbones; mustache; man sitting in the back of the getaway car; man driving the getaway car. Testimony against Nicola was no less contradictory: He was the man under the car (at the crime scene) the woman spoke to; the man behind the car the woman didn't speak to; the man---nervous and smoking cigarettes---spotted in the South Braintree train station on the day of the crime; the man spotted by the man looking out from a nearby factory window who ducked under the bench during the shooting; the lady who looked out from a far window in the same nearby factory and saw a large hand sticking out of the crime car; the man whose hand was "not large" but smaller than average. And then there was Lola Andrews who, said Prosecutor Frederick Gunn Katzmann in his closing remarks, was "the most truthful witness" he ever knew. Lola was the one who said she saw and then spoke to Sacco as he was lying under the car (pretending to be fixing it). She also saw a "light man" sitting in the back seat of the car. 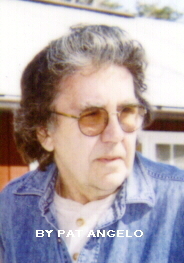 The "light man" story was the one Lola told Moore in an interview at her home on January 14th. In that version she told Moore the "light man" was sitting in the back seat of the car; at the trial she said the "light man" was standing behind the car. When Mrs. Julia Campbell (who had accompanied Lola to the shoe factory where Lola had gone to apply for a job) refuted Lola's testimony by saying that Lola spoke to nobody behind, under or to anyone near a car that day, Katzmann fired off at her his patented cross-examination grilling. "Mrs. Campbell: were you on the street last Tuesday?" "I was in the washtub last Tuesday." "When you got through with that, did you go out'?" "No. I had all I could do to home." "How about the week before that?" "And the week before that week?" "Dunno. . .dunno. . . OH CHESTNUTS!" It has been reported that Thayer smirked. Before the trial ended, discrediting testimony was presented against Lola Andrews by her neighbors, a Mr. Kurlansky and a Mr. Labrecque. Apparently, their testimony had no effect on the jury. Moore to Kurlansky: "Now tell the court what you told me Mrs. Andrews said to you the day she had gone to the jail to identify the men involved in the Braintree murder." "As I set on my doorstep. . . and she went by I said to her, 'Hello, Lola. . . you look tired.' She says, 'I just come from jail.' I says: 'What have you done in jail?' She says, 'The government took me down and want me to recognize those men. . . and I don't know a thing about them. I have never seen them and I can't recognize them.'" About Lola Andrews, Mr. Labrecque testified: "Well, my personal experience I would not rely at all on Mrs. Andrews' veracity. . .her general reputation is not very good. . . When I was in the insurance business, I insured two risks in the Workmen's Compensation in one of Guays Bakery on Hancock Street. She was employed there about three days, and she threw what we term a fit and claimed that she was injured there by coming into contact with an electric wire. . . and we paid her compensation for two or three weeks until we made an investigation and then they stopped payment. . ."
"We haven't got the right man yet." lawyers, all of whom tried but failed to save the two men from execution. And many more words, some sorrowing but many strong and uplifting, that both men poured out in letters to their families, friends and supporters. "My dear son and companion. . . what here I am going to tell you will touch your sensibilities, but don't cry Dante because many tears have been wasted, as your mother's have been wasted for seven years and never did any good. So, Son, instead of crying, be strong, so as to be able to comfort your mother and when you want to distract your mother from the discouraging soullessness, I will tell you what I used to do. To take her for a long walk in the quiet country gathering wild flowers here and there, resting under the shade of trees, between the harmony of the vivid stream and the gentle tranquility of the mothernature. . ."
"...well I am going to give you a tableaux of our daily life routine. One: at six o'clock in the morning, the wing's bells rings once: we can 'get off' and light the pipe even before to begin to dress up. From 6 to 7 we can do what we like in our room. Two: 7 a.m. a second ring; we must be ready to go and have breakfast at the kitchen window, and return to our room. Three: 8 a.m. a third ring; now we must have our room clean and orderly and be ready to leave it. . ."
It was living this caged life for seven years that contributed to both men suffering severe mental breakdowns. Both were institutionalized for periods of time but in the end (so to speak) each managed to fully recover. That a more informed justice would never seem to come to pass in the Sacco & Vanzetti case became apparent when a detailed confession of a young Portuguese man named Celestino Maderios could not save the two men. Maderios, convicted for murder committed during a hold-up at Wrentham, Massachusetts, in 1924, swore in an affidavit to being involved in the South Braintree shoe company crime. Sacco & Vanzetti, he said, were not members of the gang who killed Beradelli and Parmenter. Maderios' itemized confession described what happened at the crime scene, gave names of all the participants, and revealed that one Joe Morelli and his gang had planned and orchestrated the event. When the motion for a new trial based on the Maderios affidavit was presented to Judge Thayer, he passed down his decision on October 23, 1926, denying the motion. ". . .Maderios is, without a doubt a crook, a thief, a robber, a liar, a rum-runner, a bouncer in a house of ill-fame. . ."
MOTION: Against the weight of evidence. . . alibi evidence and reasonable doubt. MOTION: The foreman of the jury heard to have said before hearing any evidence, "Damn them. Guilty or not. They ought to hang anyway." MOTION: Eyewitness to the crime, Roy E. Gould within five feet of the killer, claims the murderer was not Sacco. MOTION: The Lola Andrews testimony. MOTION: Testimony concluding that the fatal bullet number three was not fired through Sacco's pistol but from a .32 Spanish Star automatic. At a press conference called May 5, 1927, the seven-year anniversary of the date Sacco & Vanzetti were taken to the Brockton police station, Massachusetts Governor Fuller announced the establishment of a commission to "look into the case independently." However, stressed Fuller, he would not consider himself to "be bound by their findings." "The Lowell Committee is an insult to the constitution of this country. They would not permit defense counsel to be present and to examine the most damning witnesses to Sacco & Vanzetti. The Committee interviewed privately: Thayer. . . Chief Justice Hall of the Superior Court, seven of the jurors at the Dedham trial and Frederick Katzmann. . . who so zealously prosecuted the two men. And what's worse, the committee has withheld from the counsel for the defense whatever these private interviews disclosed." It seemed a very strange way to go about seeking evidence to acquit two men, namely by suppressing the investigating process and then withholding from the public the commission's findings by demanding that defense counsel pledge himself to secrecy. All these things and more went on, some known and many unknown, such as a motion for a new trial never presented by the defense based on words supposedly spoken by Judge Thayer one day on a golf course: "DID YOU SEE WHAT I DID TO THOSE ANARCHISTIC BASTARDS!" Finally, when their hour came, midnight August 22, 1927, all last-ditch efforts to halt the proceedings failed. When the verdict was announced, Rosina exclaimed: "Oh, Nick, they kill my man!" Nicola's last words were: "They kill an innocent man! They kill two innocent men!" "I am innocent of all crime," said Bartolomeo as he was being strapped into the electric chair, " not only this one, but all crime." When Sacco and Vanzetti were executed by the State of Massachusetts, the only guilty parties were obviously the State of Massachusetts and the very officials of the state responsible for the execution. At the funeral home where Sacco and Vanzetti lay in their caskets, a blindfolded Mary Donovan---standing at one side of the catafalque---held up a large placard that had on it the words Thayer had allegedly spoken on the golf course. When Donovan removed her blindfold and began to read the sign, a dozen policemen went after her placard but she protected it against her body. A scuffle ensued and the police, furious, struck her on the head, tore the placard and took her to the police station to an echoing chorus of boos and hisses from the crowd. Considering the end result, Sacco & Vanzetti advocates such as Mary Donovan, might say that the boos and hisses came about seven years too late. Were the executions of Sacco & Vanzetti state-sanctioned murder? That's what many who believed in the two men's' innocence asserted. Did fear, loathing, malice, prejudice and legalistic denial on a broad scale take precedence over justice? To this day the questions are still being asked and are not being answered. The state of Massachusetts has never officially cleared Sacco & Vanzetti of the charges brought against them that led to their executions. Their advocates continue to petition the executive, legislative and judicial branches of the state of Massachusetts to do so. When one looks back on the Sacco & Vanzetti event, questions arise about whether or not the justice system in this country has changed much since the two men were executed. It seems obvious that any man or woman brought to trial is at the mercy of a system of justice whose dramatis personae include human beings who bring into the mix everything about their own lives but perhaps little if anything about the life of the person upon whom they're about to pass judgment. Because the human element exists, the rule of law in the justice system is bound to be subverted by inbred personal prejudices. As it seemed to be in the case of Sacco & Vanzetti, the intent to subvert may be blindly immutable. Today, too often it is reported that persons falsely accused and convicted spend years in prison or worse because those accountable to the system covet their reputations or ambitions at the expense of human justice and compassion. Innocent victims are often pronounced criminals when conversely criminals, even murderers, are acquitted and set free by the same prejudicial mechanisms. It's not exactly a roll of the dice. As Alan Dershowitz has remarked in his book, The Best Defense, ". . .it is fair to say the American system of justice is based on NOT telling the whole truth." Which, I suppose, is to put a nice, civilized face on injustice. Defense lawyers beginning with Darrow through Dershowitz, have and will probably continue to strike fear in the hearts of people who believe that many of them are downright evil and go beyond their role as devil's advocate. But in this case evil exists in the eye of the beholder. Consider District, State, Federal and Special Prosecutors and judges. Is there one out there who would admit that in the face of newly arrived contrary evidence that he may have wrongly convicted a man, even permitted him to be unjustly executed? It's the latter posture that seems to be dominating the American justice system these days, which makes one wonder: Is the spirit of immutable intent demonstrated by Judge Webster Thayer and prosecuting attorney Frederick Katzmann in the Sacco & Vanzetti case alive and well and thriving in a justice system that is out to get its man, REGARDLESS? DID YOU SEE WHAT I DID TO THOSE_____________BASTARDS?